Years ago (as in... 1996 or 1997) I got a recipe book called Cora's Country Cookbook in which there was a Turkey Pot Pie recipe that not only do I still make today (2016) but adapted to my own version's of Chicken Pot Pie and now, Tuna Pot Pie. Like all my recipes - it's a guide and you can add and delete if you wish. In this one, if you have time before hand, microwave 2 cups of water with a bunch of celery cuttings, some carrots, onions if you wish to make a nice vegetable broth. You can add a bit of chicken bouillon to it too. Then you can skip the cream of celery soup. But if you have the celery soup on hand - use it! It just makes that step easier and quicker. Some water and half a can of the soup and you're done with the vegetable broth part! Another option - just use chicken broth if you wish. It won't have the same 'tuna pot pie' flavor as it's going to taste like a mixture between tuna and chicken... but still good. Use peas and carrots and potatoes and onions - or just peas. It's your dish - use what you like and leave out what you don't. You can increase the Old Bay seasoning to 1/2 teaspoon or 3/4 teaspoon (I never measure spices and herbs I just pour into my palm and toss in). A whole teaspoon is a bit much though for this dish. The biscuit topping can be cut out, cut into squares or cut the shape of your casserole dish or baking pan and placed on top whole. I do all three versions depending on the day. See how versatile this dish is!? I made a Tuna Pot Pie and a Chicken Pot Pie at the same time yesterday and we had both last night at dinner time (leftovers today for lunch!) Here is the tuna version. Melt butter in saucepan. Blend in flour, salt, seasonings. Gradually add stock and milk. Cook and stir over medium heat until thick and smooth. Add vegetables, tuna and cooked onions and potatoes. Pour into a greased shallow baking dish. Make a biscuit topping and top the vegetable mixture. Bake at 425 degree's for 25 minutes until the top is golden brown. About 6 servings. Add 1/2 c milk (scant) and stir with a wooden spoon until a dough forms. If it's too wet and sticky add one or two more tablespoons of flour. Pat down on a lightly floured surface and roll out to the shape of your baking dish. If you prefer you can cut into wedges or squares and simply top the vegetable mixture that way too. (Up to you!). Blend and chill at least 2 hours before using. Best the next day. Don't throw out those celery trimmings! Save them for soup, gravy and broth! I was just in the kitchen cutting up celery for a relish tray and doing what I always do... and always have done.. and my mother always did before me... cutting up the celery 'trimmings' to freeze. It occurred to me I should take a quick picture to post on An American Housewife just in case some of my readers didn't know this little trick (or, 'hack' if you will). After washing and drying your celery, trim the feathery tops off but keep them in a 'save' pile. Trim just the very ends off for the trash. Now, the new 'end' that is still pretty wide, or white or strong tasting for simply munching on as a snack, cut those ends off (about 3/4 of an inch or so) and put that in your 'save' pile. Cut up your celery for snacking or cooking as you were going to anyway. The next time you are making broth, gravy or soup... grab the baggie from the freezer and toss it in! When I make my Thanksgiving gravy, it requires a vegetable broth base first, so I use a different baggy from the freezer in which I've simply placed the celery trimmings in whole without chopping. That makes it easy to strain my broth for gravy. I usually have 2 bags in the freezer; one chopped up and ready for soups and a second with the trimmings left whole for easy straining of broths/gravies. Just in time for Easter, I made these tiny little bite sized French Macarons (alternate spelling macaroons - both are used). These are not the coconut macaroons, but a little crisp, light meringue bite with a bit of filling in the center. Although many people find these difficult to make, and bakeries charge $2 per cookie, I am not sure why. I currently live in the deep south where humidity levels are high, we had a rain storm the morning I made these and yet, they turned out perfectly for me. In addition to that, I found they baked up perfectly (if not a little bit too high actually, as my batter was quite thick - I'll add a bit of liquid next time to flatten them out), but I had no sticking problems either - using just a basic non-stick parchment paper. Because of our high humidity levels, I filled them and froze them until this Sunday. They froze beautifully and my husband and I took a few out last night to enjoy - they were perfect in every way and thawed quickly, not losing any of their taste or texture. Mix the confectioner's sugar and almond flour very well either by pulsing in a food processor until combined or using an electric stick blender or electric whisk, etc. It should be mixed very well and quite fine. Preheat oven to 375 degrees. Whisk whites with a mixer on medium speed until foamy. Add cream of tartar, and whisk until soft peaks form. 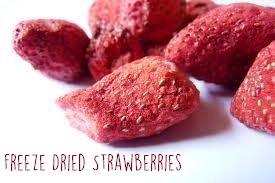 Reduce speed to low, then add a drop or two of food color if you are using it, a drop or two of flavor extracts if you are using them, and the superfine white sugar. Increase speed to high, and whisk until stiff peaks form. Sift flour mixture over whites, and fold until mixture is smooth and shiny. Transfer batter to a pastry bag fitted with a 1/2-inch plain round tip if you have one, or if not, leave the round 1/2 inch opening of the bag or the white plastic piece you would normally put a tip on, and pipe 3/4-inch rounds 1 inch apart on parchment-lined baking sheets. Drag the pastry tip to the side of rounds rather than forming peaks. Tap bottom of each sheet on work surface to release trapped air. Let stand at room temperature for 15 minutes. Option one: Reduce oven temperature to 325 degrees. Bake 1 sheet at a time, rotating halfway through, until macarons are crisp and firm, about 10 minutes. After each batch, increase oven temperature to 375 degrees, heat for 5 minutes, then reduce to 325 degrees. Option two: If you bake a constant 300 or 325 without adjusting the temperatures, it takes about 17 minutes to bake crisp. I tested both ways and found both to work for me. Sandwich 2 same-size macarons with 1 teaspoon filling of your choice. Serve immediately, or stack between layers of parchment, wrap in plastic, and freeze for up to 3 months. I use Honeyville Blanched Almond Meal Flour - which is incredibly expensive and has gone up $10 per 5 lb. bag in the last 1 1/2 years alone as they get to be more popular in gluten free baking. I hate having to purchase it, but for baking flour-free cakes, cookies, pastries and more, it's the best quality I've found. I use other brands or non-blanched for quick breads and recipes where the white color or the fine texture isn't as important to the finished product. Sometimes I order direct from their site, other times I order through Amazon with other products I need. I put the eggs and the almond flour out on the counter the night before so both would be room temperature when I made them. I never use 'fresh' eggs for anything as I've found eggs that are 1-2 weeks old work best in almost all recipes and are the 'secret' to perfect hard boiled eggs every time. My oven is conventional and/or convection. I use the convection setting for them although I'm not sure if it's necessary. Because I used the convection setting, I didn't have to rotate my baking sheets while baking. I baked one batch following the above directions and a second batch at a constant 300 degrees for 17-18 minutes. Both turned out equally well. I rarely buy or use white sugar and I did not have superfine sugar on hand so I used my stick blender (like a mini food processor) to grind up regular white sugar a bit. You can use your mini food processor for that. Don't over blend or you'll get powdered sugar. My least favorite part: folding in! A nice shell with a chewy center - perfect! Blanched Almond Meal Flour, 5 lbs. These first paragraphs are from my Emergency Preparedness page found in the header links above. Whether it's a hurricane, tornado, earthquake or a man made disaster (think; the water situation in Michigan), there isn't an area to live where you shouldn't prepare to provide for yourself or your family in the case of a disaster. If you've read my website for any amount of time, you have probably noticed me mentioning in passing food storage, stocked pantries, cooking in my solar oven, dehydrating foods, reviewing freeze dried long term storage products, etc. It's not a topic I preach on, but it's a way of life for our family and millions of people in America. This used to be a way of life for almost everyone. Our Grandparents (and parents) kept a stocked pantry at all times. Usually had home canned goods in the basement and a stocked freezer. When hard times hit for one reason or another they were prepared to help themselves and get through it. It's only in the past 30 years that people have started to rely on everyone but themselves in case of emergencies; small or large and it's gotten especially bad in the last 10 years! The thing is, it's not the governments job to take care of you in case of emergencies. It's your job to take care of you (and your family). We all have personal responsibility. Sure, they may send in help eventually, and they will send out a humanitarian effort, but even the government itself tells you to have an emergency bag you can grab if you need to evacuate your home quickly and to have at least 3 days food, water and medications in your home at all times. And that is how today's post starts. Yesterday I got an email special from a company I used to buy from about 4 years ago but over the past two or three years, many of the things they've done have left a 'bad taste in my mouth' so although I opted into their emails, I don't purchase from them often unless I find a really good deal. The email yesterday sounded like a pretty good sale ($60 off orders of $175) so I clicked. Looking through the products I was sure the prices were far, far higher than I seen just 2 months ago so I dug out the catalog I had in my emergency files and price checked. WOW. Huge, huge increases in their prices from just Christmas time - and the new "SALE" prices on their site were sometimes double the cost of the product "regularly" priced. And it's due to the cost of the food or process or water storage items because their competition with the SAME products are still being fair and reasonable with pricing. It's only this particular company who has progressively been getting a little too big for their britches lately and doing things I just don't agree with (which I'll get to in a minute). And that is why I decided to grab a cup of coffee and post some thoughts this morning. I buy from many different companies and stores. My own storage ranges from canned goods to freeze dried goods and everything in between. I'm not 'married' to any one company - no one sponsors me or or pays me to be their ambassador and I pay full retail for all my emergency storage. Over the past couple years I've been focusing on building up our freeze dried storage (see photo to the left) - which I love, and can store for up to 25 years - but I also use many in our everyday cooking, snacking and baking. I also buy canned goods, dehydrated foods, water filtering items, bug out bag items, first-aid, camping and other products. Companies I use include Walmart, Sam's Club, Costco and local grocery stores for some items, but most of my freeze dried or dehydrated foods, as well as water, emergency survival items, solar oven, etc. all come from online ordering. What companies do I order from the most? I like Emergency Essentials the best for our freeze dried foods. I like Pleasant Hill Grain for canned meats like bacon, and butter. I use Honeyville for almond flours but hate how they've raised their prices (almond flour went from $34.99 to $54.99). Their quality is top notch though. I like Valley Food Storage foods (taste great) but I'm not into purchasing 'pouches' right now - more focused on cans. Mountain House is good for our camping trips and a couple items in our bug-out bags but I don't have them for long term storage due to the cost and quality I do better through Emergency Essentials. What companies do I not order from anymore? I like Walton Feed and Rainy Day Foods but the shipping was outrageous as they ship based on weight (or at least they did when I was ordering from them). Great prices - BUT my order for $60 cost me $21 to ship a couple years ago - and I've never ordered since. I like the Thrive foods quality but the price is about 1/3 higher what I can buy elsewhere. I like Auguson Farm products but prefer to order through Sam's Club because when I order from their site they take forever and a day to ship. I did note they started a 3 day ship offer in an email last week - not sure if that is going to be a new 'forever' thing or if it was a special 'limited time' only but waiting for Auguson Farms and Rainy Day Foods to ship was crazy long shipping times. And then there is the Ready Store. First: About 2 (?) years ago they decided to really push reviews. They were offering $.05 credit for every review. What you now see on the site are reviews by people who have apparently never used it, and many times haven't even bought it. Overwhelmingly I read the generic; "This is a great product to have in your food storage" or even worse; "I'm going to buy this for our food storage" - over and over! Some are posting the same phrase to numerous products - (cut and paste, cut and paste) so there is NOTHING about the actual product. The taste, flavor, texture, ease of use... worthless reviews. Second: They give you points for your orders but you have to build a huge number of points before you can redeem them AND they disappear and are wiped out if you don't use them for 12 months. Third: PRICES HAVE GONE THROUGH THE ROOF. This is really the reason for this post. If you want to order from, please price check with a few other sources. Even if you compare serving size and ounces - the prices are crazy. Even items like their IoStat tablets - last night were on their website for $20. You can buy them almost anywhere else for about $7-9. They have good products but just be aware pricing is not comparable or competitive with market pricing. Last night during my price checking the current products verses what the exact same items were priced just 2 or 3 months ago, I found overwhelmingly the prices have jumped to levels I know I can't afford to pay (nor would I want to as I spend considerable time price comparing before I order anything online!). Here is my latest catalog from them with the price of the item at Christmas time, verses my hand written "SALE" price from their website last night (March 24, 2016). This is just to give you an idea of what I'm talking about by price increases that do not compare to the same products you can buy elsewhere. And for the bigger purchases? The 6 month 2000 pk that was $1750 just 2 months ago is now a huge "SALE" item you can buy for $2133. Again... good products - but just be aware you need to price check various sources if you don't have unlimited funds to spend! price checking and budgeting is a MUST for our family! I assume it is for yours too. Today was a rainy, cloudy, gray kind of day. The perfect day to do tasks that require me to be inside the house! Thus, the oven was deep cleaned, my Pampered Chef stones cleaned and some recipe 'tweaking' was accomplished. My all time childhood and adult favorite Red Velvet Cake was calling my name... but of course not the bleached white flour and full of sugar version of my childhood! Our family has been making this cake for almost 40 years now and I've been trying to find the perfect 'healthier' version that is sugar free and uses almond flour - but still has the texture, taste and moisture content of the original. Today's testing was... awesome! I can't describe nor do the photos show just how moist this version is! The taste is so close to the original wheaty/sugary version but without any of those products and no guilt. Today's tweak went directly onto a note card and into my recipe files. Some important notes to myself (and to my readers). When baking and cooking low carb, the exact brand and product used is so very, very important. A different brand of sweetener, a different whey protein powder? Can make a completely different finished product. I will list exactly what I used, but everyone needs to use what they can find in their part of the world, or what they can order online. I order many products online because I can't find them locally. I will list them at the very end of the post. This version does use a little bit of wheat flour in it - albeit organic, non-gmo wheat that I ground myself. But I have posted a no wheat version previously that is really good if you cannot have any wheat products. Just do a search in the sidebar on the right for sugar free red velvet and you'll see it. In a small bowl place the almond/coconut milk and/or cream with the lemon juice and let set while you mix the rest. In place of this you can use buttermilk - but I never keep buttermilk on hand so I usually end up making my own this way. Cream the butter and sweeteners in a mixing bowl. Add the eggs. Beat well. In a large bowl, place the dry ingredients: almond flour, whey protein powder, white wheat flour, xanthan gum, baking soda, baking powder, cocoa and salt. To the buttermilk or soured milk mixture, add the bottle of red food color, vinegar and vanilla. Alternate adding the dry mix and the milk mixture to the butter, mixing well after each addition. Pour into 2 greased and lined round cake pans. Bake at 350 approximately 25 minutes or until done in the center. Let cool in pans about 10 minutes and turn out to cool completely. Make your filling. Place about a cup or so between the layers and use the rest to ice the cake. Chill until serving. Icing/Filling - this is the traditional frosting using flour (I grind my own soft white non-gmo wheat berries). You can use your favorite sugar free and low carb icing if you wish (and I have a few great ones if you use the search feature to the right, in the sidebar). Mix the milk and flour smooth and heat on the stove top over medium until it forms a thick paste. Remove from heat, let cool. Cream the butter, sweeteners and vanilla in a mixing bowl and add the cooled flour/milk mixture to this. Whip until smooth.